Established in 1994, Sonora Behavioral Health Hospital is a 72-bed acute inpatient psychiatric hospital that caters to individuals who are working towards recovering from behavioral health conditions and chemical dependency issues. With treatment services available for children, adolescents, and adults, Sonora has expanded its size and the scope of programs available to meet the needs of those in Pima County and Southern Arizona. Offering Mental Health and Chemical Dependency Intensive Outpatient services, a Partial Hospitalization Program, and our BRAVEST Program, which is designed especially for active duty and veteran servicemen and women, Sonora Behavioral Health is constantly on the verge of developing new services that address current mental health and substance use trends. In doing this, Sonora has been recognized by Optum as a Platinum inpatient provider of behavioral health services as part of the Achievements in Clinical Excellence facility measurement. 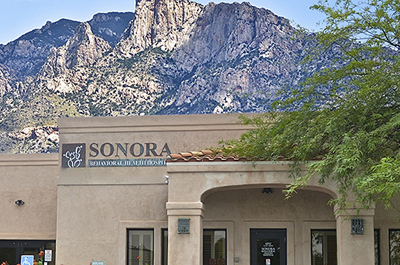 With a focus on quality clinical programs, payer partnerships and customer service, Sonora is the market leader in southern Arizona.